The moment I first saw her picture on Instagram I was jealous. Her photos were flawless, she had perfect hair, well-behaved children, and a stunning wardrobe. Secretly I watched her from afar. Her life seemed so much more beautiful than mine. The moment I opened the app on my phone I would type her name in the search bar. Scrolling through the most recent pictures I clicked on the captions. Even her words were more beautiful than mine. Everything seemed perfect. The laughter in her adorable kid’s face; the way the leaves hung on her trees; to the blankets on her bed. So much more wonderful than I could have ever created on my own. Toys covered my floors and crumbs were everywhere. The dishes from last night crusty in the sink laughed at me. The piles of laundry littered my living room reminded me of my laziness. My house was a mess and my life felt like a failure. Sighing, I would scroll through social media to see her perfectly decorated house and wish for the kind of beauty within the four walls I spent my days. A few years later I met her in real life and now we are close friends. You know her house? It really is beautiful with green plants, fun decorations, and beautiful art Also hidden in a table in her living room are about million happy meal toys. And her kitchen is super tiny. She invites people to her house when it is less than perfect with dishes in her sink. The flawless make-up she posts on IG? Those are for date nights with her husband. Not for the everydayness of motherhood. And her kids are just as wild as mine. We’ve entered into each other’s stories and found there is no room for comparison. There is forgiveness, love, and acceptance. Pushing back my own insecurities and feelings of lacking, I opened up to her. I began to show her the mess of my own life and heart. I invited her family to our house. I opened up the door to her because I wanted to know her. Maybe I was tired of hiding my own mess. No matter the reason, I decided I wanted a friend more than a competitor. So I made the first move. The most beautiful thing? She opened up to me and allowed me access into her reality (and it wasn’t like the posts on social media). I’m no longer jealous. I realize now, behind her perfect posts, is a heart struggling with perfectionism and insecurity. Nothing in small square pictures could have told me that. When I began to peel back the layers of who she was, and she allowed me access to her heart, it was hard to feel resentment or jealousy. Certain people on social media I’ll never have the privilege to meet in real life but this one friendship has reminded me of this: comparison always begins when I don’t know the whole story. And if I let comparison grow in my heart, I’ll eventually find myself discount. Comparison always begins when I don’t know the whole story. Many times I find myself comparing and instantly it steals my joy. 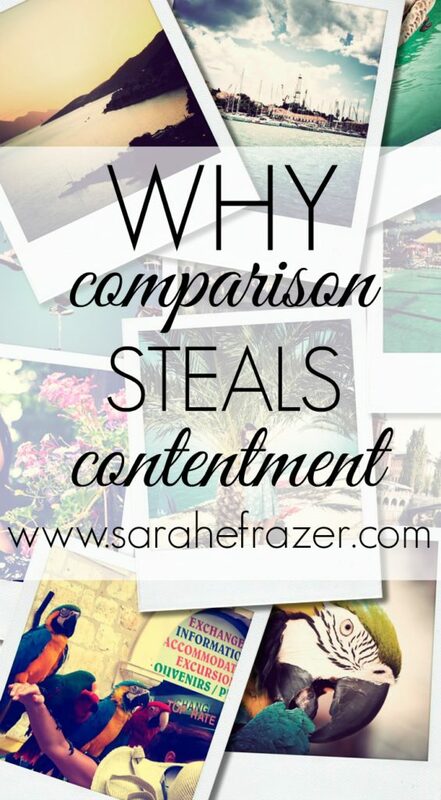 The saying “comparison steals our joy” is true. Comparison is the first way to lose the joy in our life. Joy is defined as happiness, but really – is happiness our goal? Or is joy a deeper feeling? Comparison sneaks into our hearts without a sound. Why do we compare? We compare because we don’t like what we see in our own lives and we think someone else’s life is better. Comparison takes root when we distance ourselves from people. Walk up close to someone. Enter into her life and ask genuine questions. As we get to know her, we will see the flaws and realize no one is perfect. And when we learn someone’s story we allow ourselves to begin to be content. We find joy in sharing life together. We find joy in sharing life together. 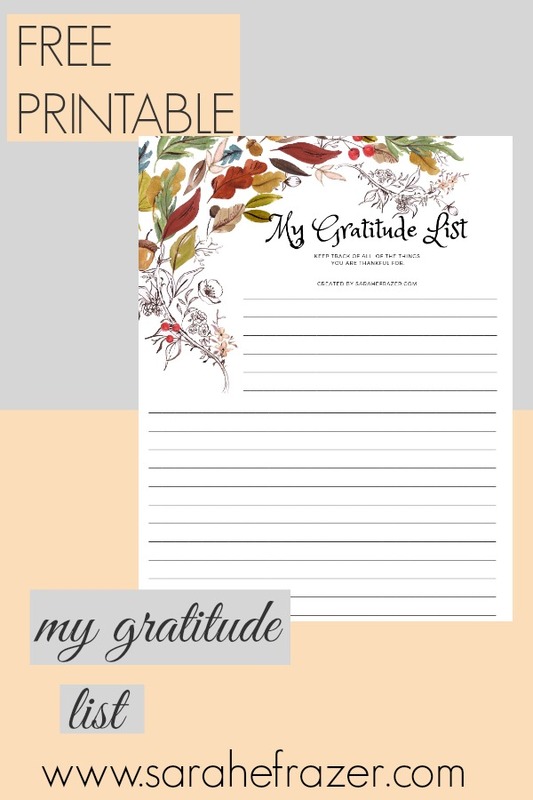 Download my BRAND NEW Gratitude Journal here! FREE gratitude list! PDF Printable! « What is True Humility?